My background was professional BMX. I rode for GT bikes from 1983-1993. 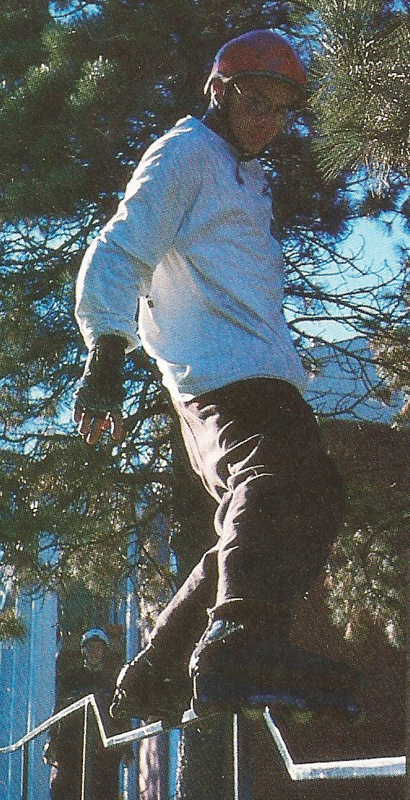 I started on BMX tracks and trials, but my focus quickly became skatepark (concrete bowls) and vert. 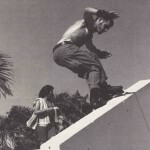 In the late 80’s there was a strong movement toward street and park. 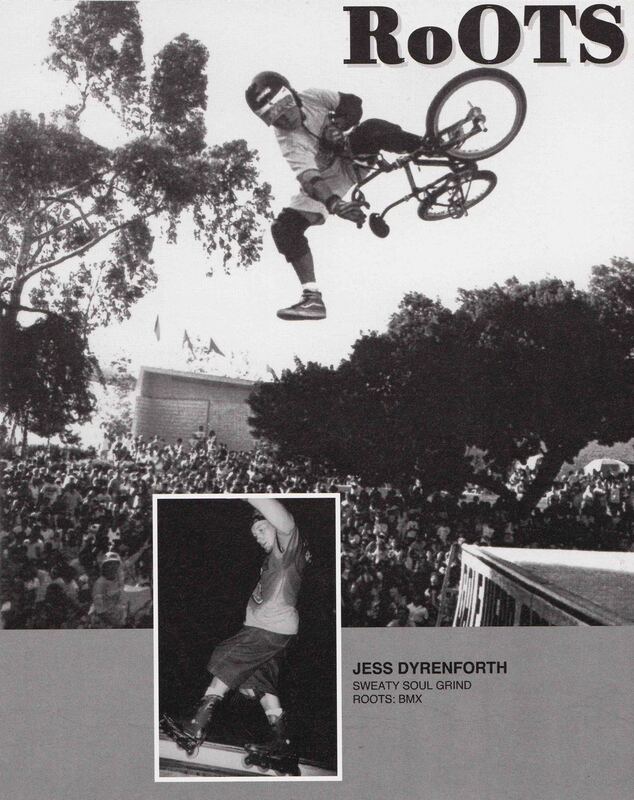 Jess Dyrenthforth excerpt from ‘Reel Rollerblade’ 1991 from Blade Museum on Vimeo. 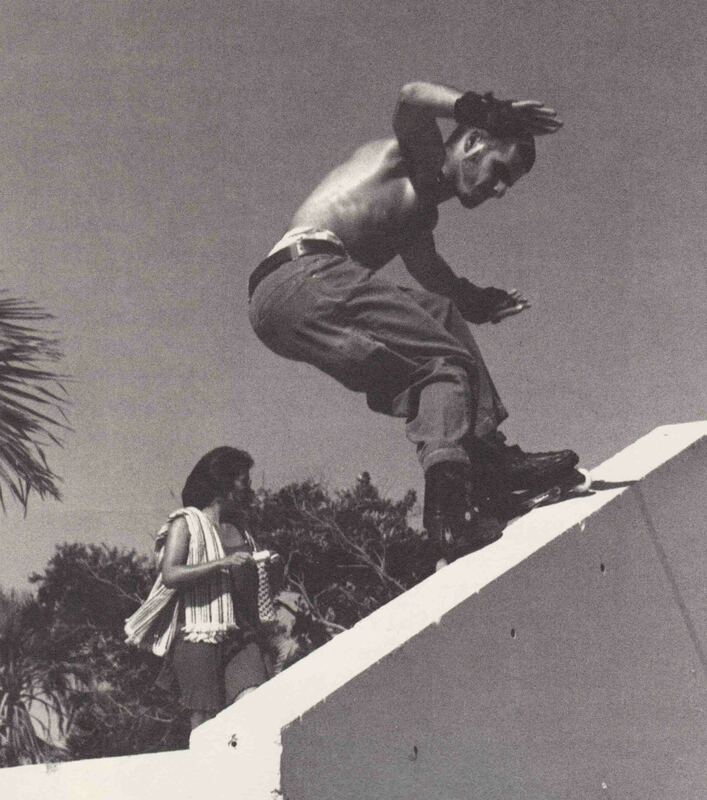 When I started rollerblading I would take out my third wheel for doing backside and frontsides on the mini ramp. 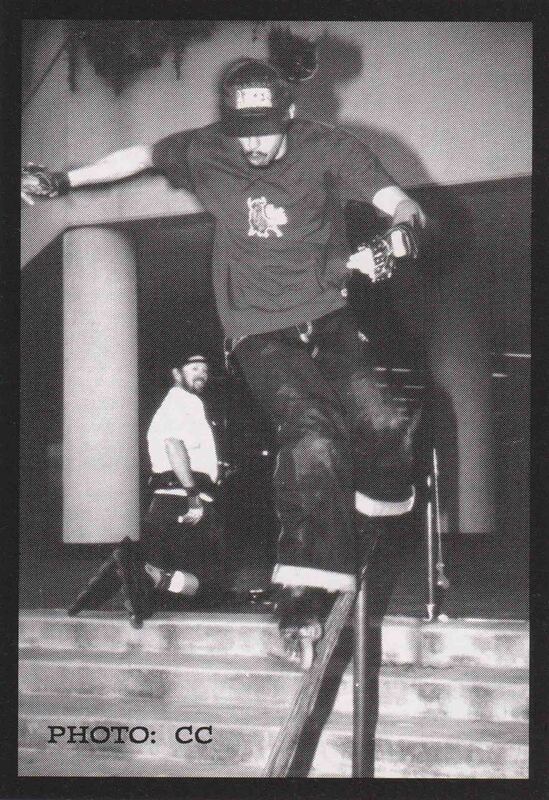 I was skating with skateboarders and BMXers at the time so naturally those sports influenced my creativity. 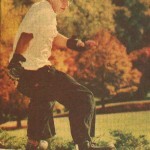 I had seen Brian Wainwright roller-skating on vert and doing all kinds of grinds. 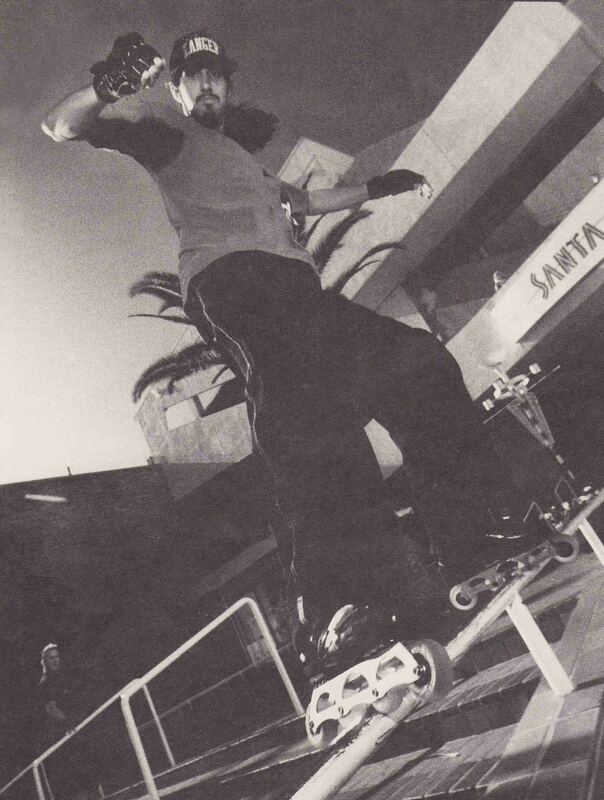 The mini ramp I skated was wide so grinding was a fluid way of using the whole ramp. This was the summer of 1990. It was a very creative time for me. 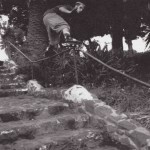 I was still riding for Haro Bikes and on Team Rollerblade. 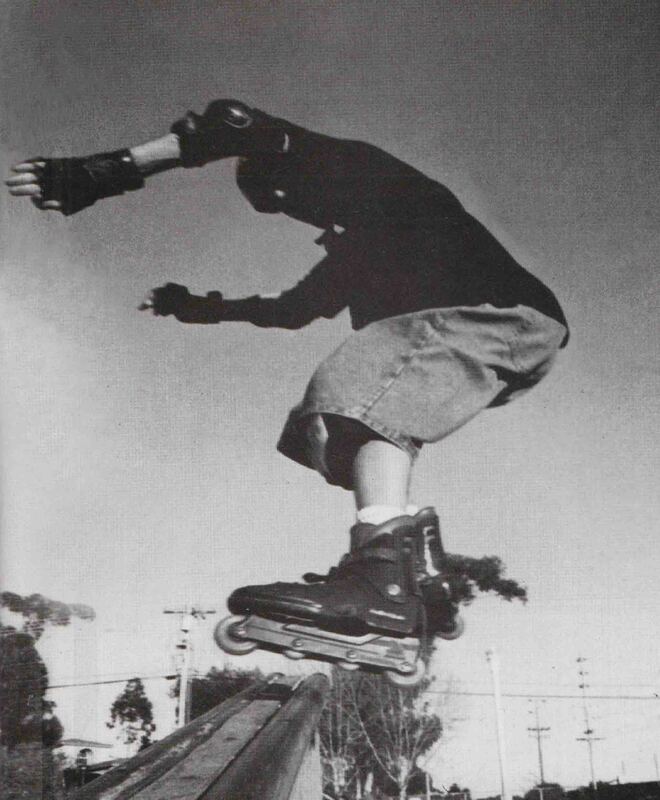 BMX on a mini ramp and technical lip tricks were relatively new and lips tricks were a blank canvas. 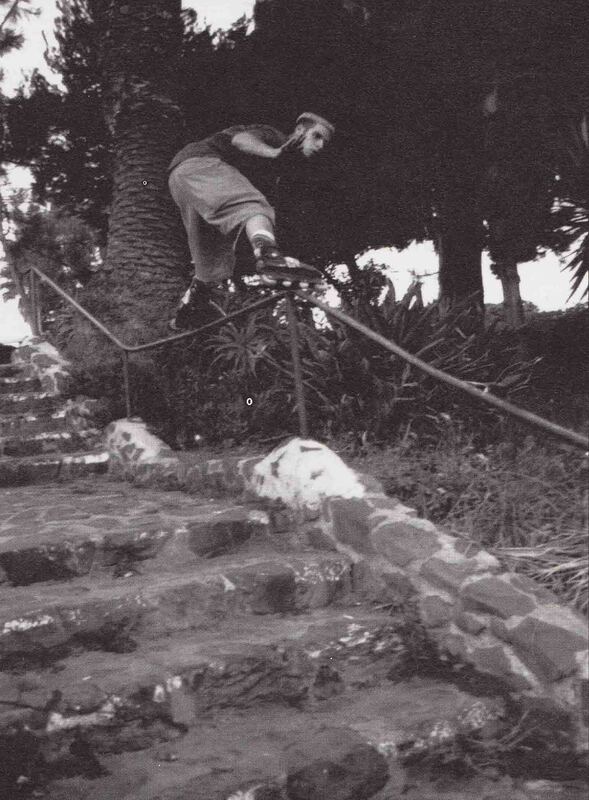 I was coming up with original tricks for BMX like fast plants, manual to nose picks and grinding on Rollerblades. As for who grinded first; There is a theory called The Hundredth monkey effect and it suggests that our consciousness is somehow connected. I tend to believe its more scientific like evolution in that as intelligent beings we all problem solve and sometimes come up with ideas simultaneously even half way across the globe. At first I would take out my third wheel on my TRS’s (3rd from the front). I would create a groove in the frame to lock on, however it wasn’t balanced and the large soft wheels would sometime stick on the coping. Pretty soon I had the idea of using all little wheels. 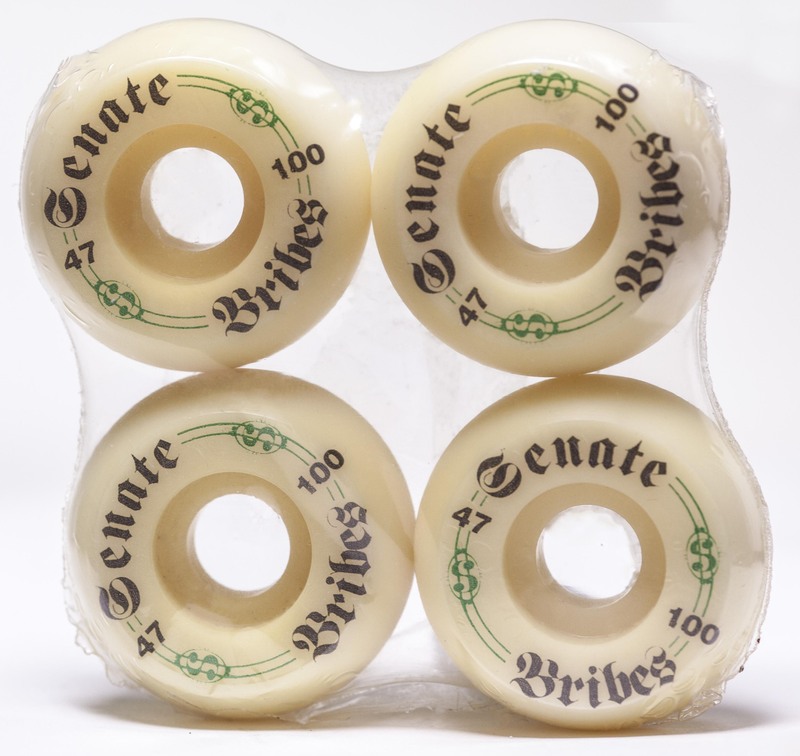 I researched and found the softest skateboard wheels available and to my amazement they fit. It was an awesome breakthrough. 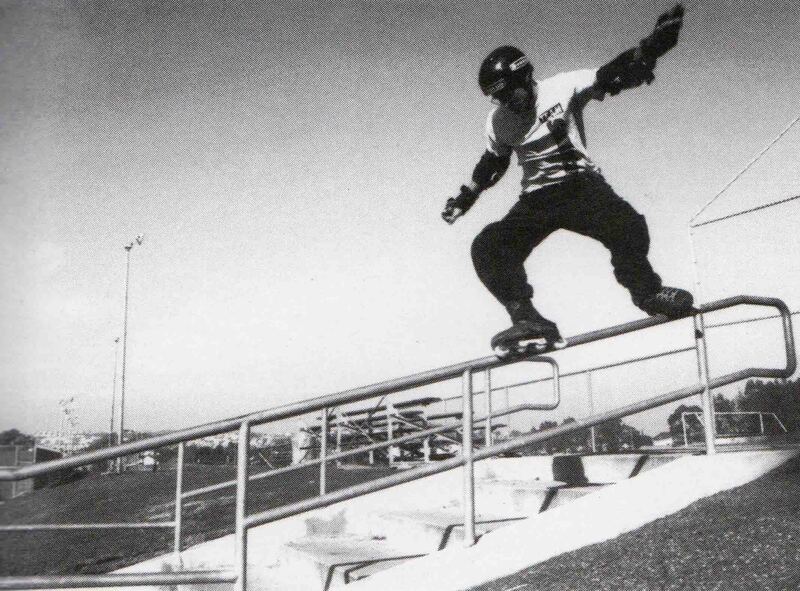 The first test was at the infamous RSA skatepark in Costa Mesa. Grinding was effortless and no more sticking to the copping. The little wheels were noisy and very hard compared to the soft 76mm Kryptonics. 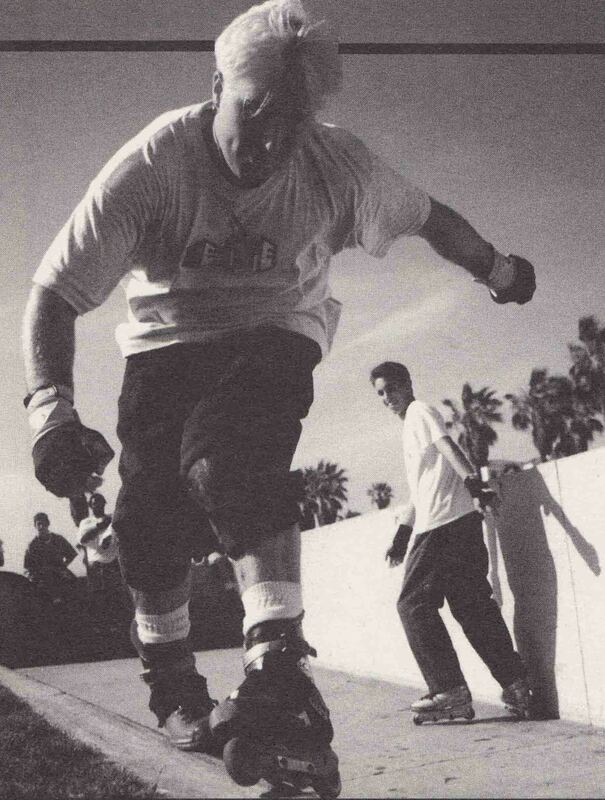 The main issue I faced was that they were very slippery and slow on the ramps Masonite surface. I would rough up the wheels on the concrete and even Dremel the surface area to give them more traction. RSA had some grind rails and my next test was a much better experience. The problem was if the ground had any imperfections the ride was slow and very rough. Not long after I spoke with Chris Edwards who also adapted to little wheels. 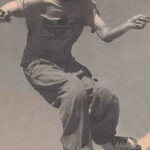 It was a lot of fun, but we had two set ups because the skateboard wheels where so slow and simply didn’t work on vert. We voiced our ideas and concerns to Krytonics and Hyper. Pretty quickly this lead to the release of Lil Roxx and Midgets. 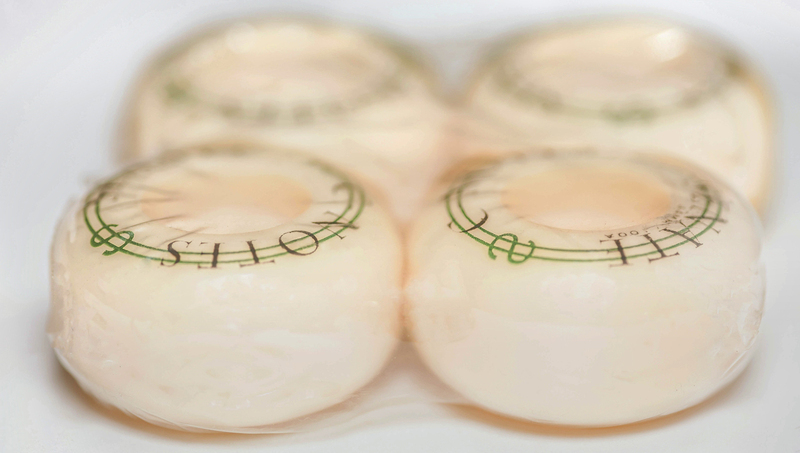 There were a number of ways we were adapting our skates to make them better for grinding. 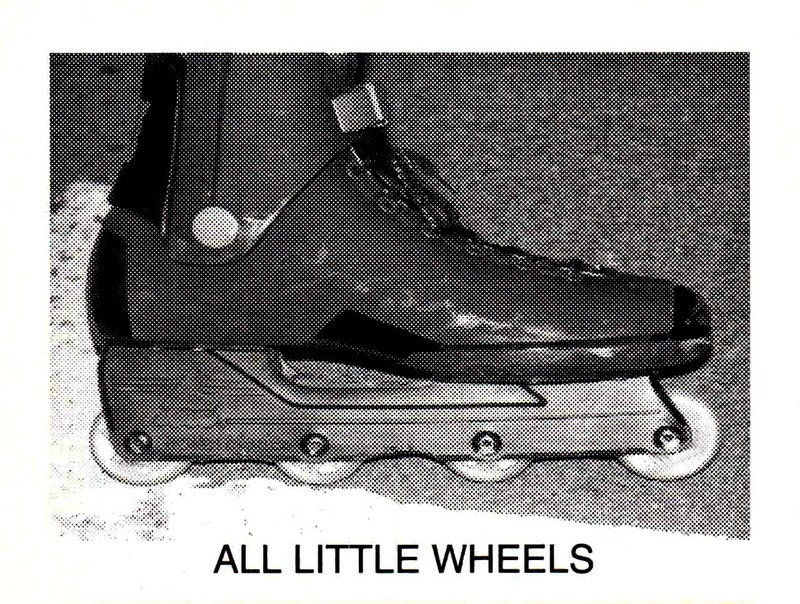 Some were shifting their middle wheels, this involved re-drilling your skates and hoping they were still aligned, some flipped their spacers and placed smaller wheels in the center for an effect called flat-rocker. 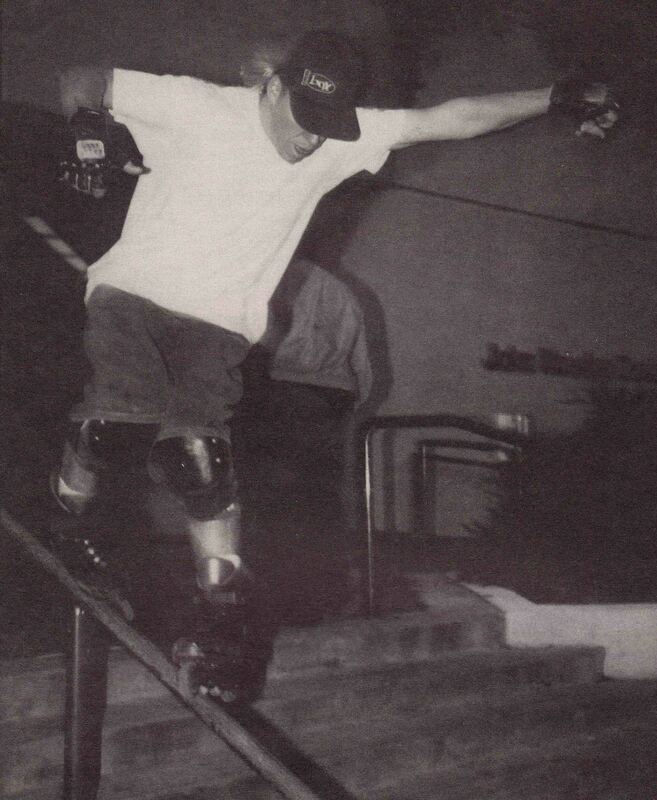 Both were reasonably effective on ramp where the coping was predictable and speed was important, but some of us who were more focused on pure street were keen for a more consistent grinding ability, for this you needed to use smaller skateboard wheels in the center two positions. I worked with Kyptonics briefly on the lIl’roxx while Chris Edwards worked with Hyper on the Midgets. 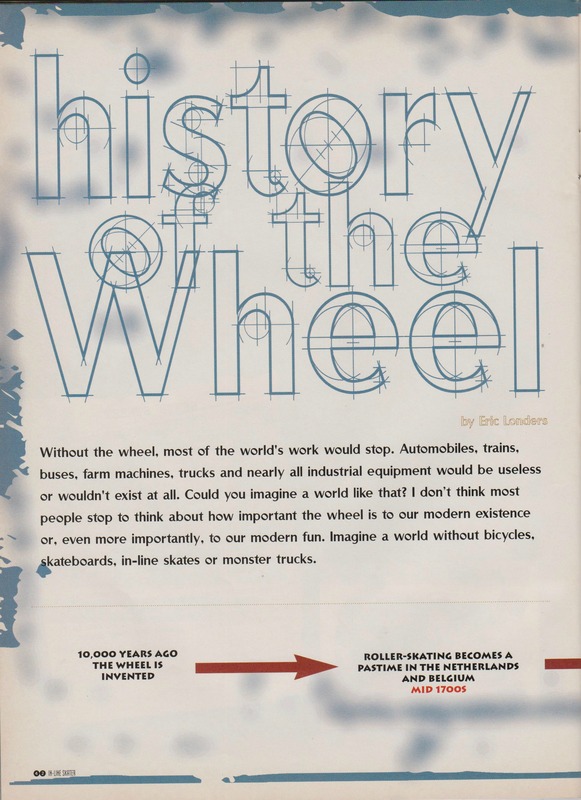 By then Arlo, BK, Aaron, Mark and I had begun making Senate Wrenches and we approached Hyper at the end of 1993 about making anti-rocker wheels. The C-notes and Bribes were born! 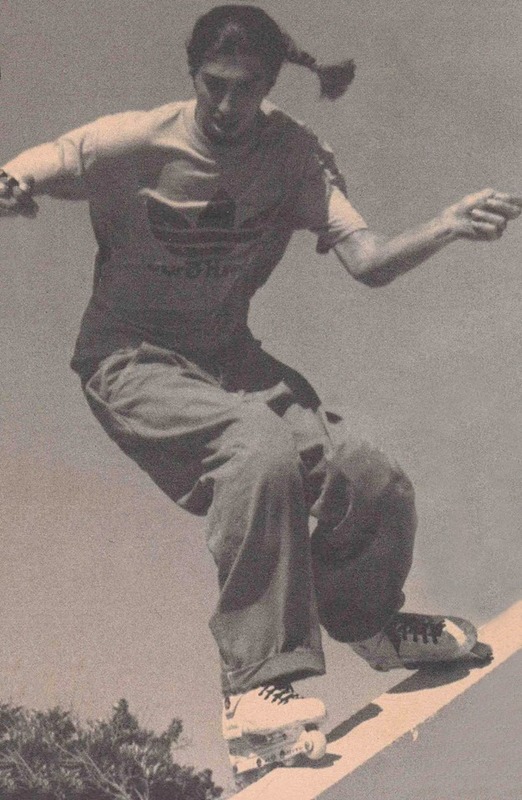 Arlo Eisenberg’s small foot size was a defining moment in the the creation of the anti-rocker wheel. 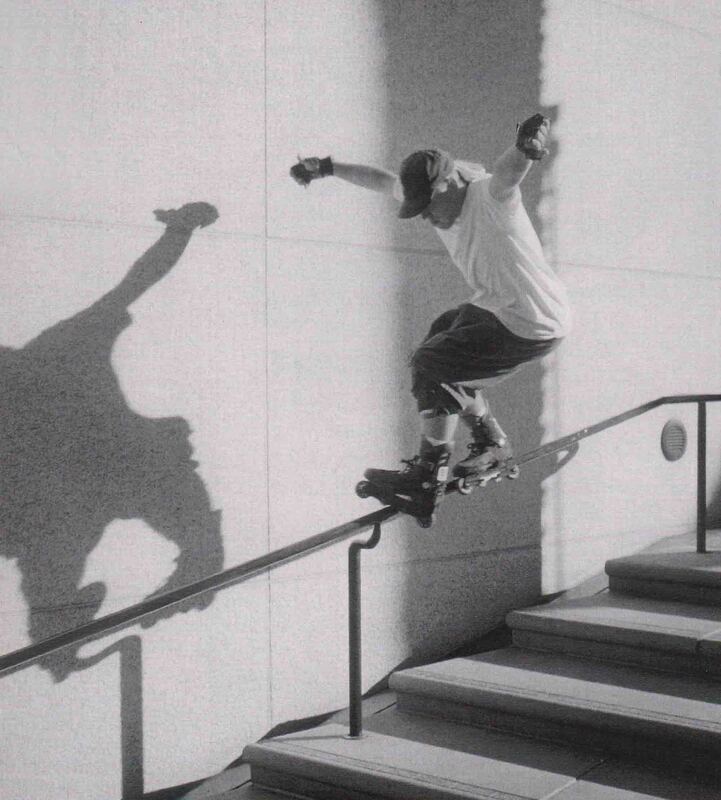 Arlo Eisenberg Anti Rocker excerpt from ‘The Hoax’ from Blade Museum on Vimeo. 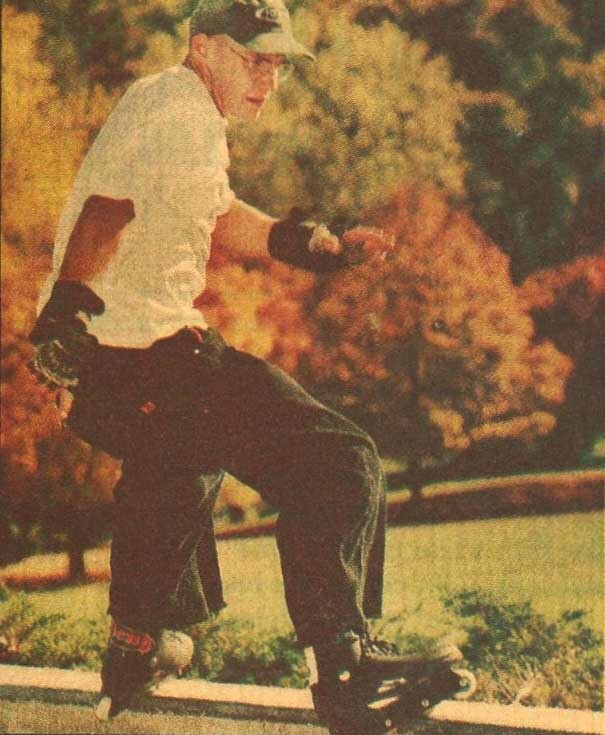 Not sure if this has been said yet, but we were damn lucky skateboarding was going through its “tiny wheel phase” in 1993. It made things a lot easier. 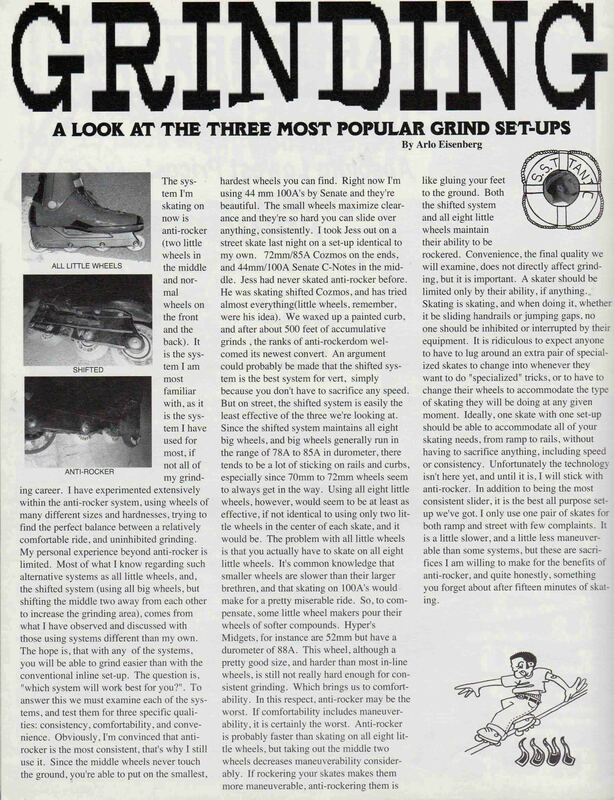 I experimented extensively within the anti-rocker system, using wheels of many different sizes and hardness’s, trying to find the perfect balance between a relatively comfortable ride, and uninhibited grinding. 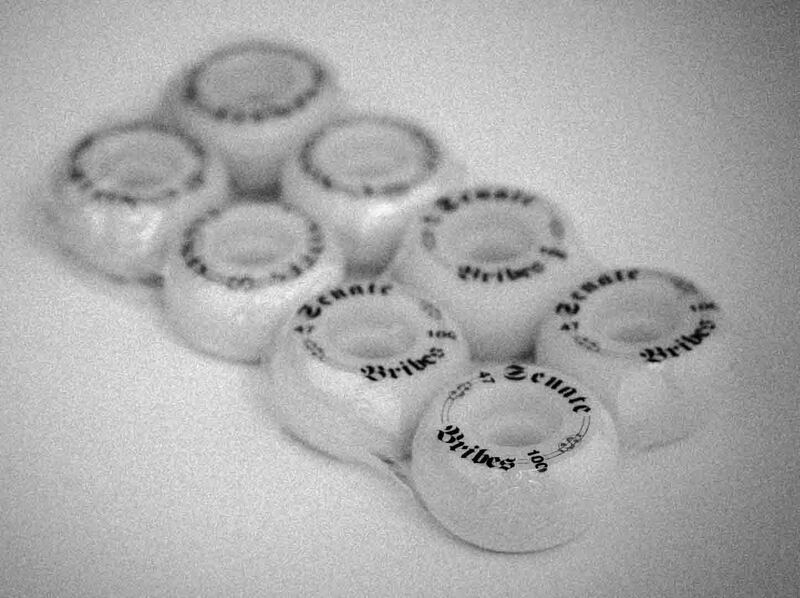 Shoot, the design process was pretty rudimentary – Hyper just sent us a whole bunch of test wheels and we had them adjust until we thought we had the right hardness and size. 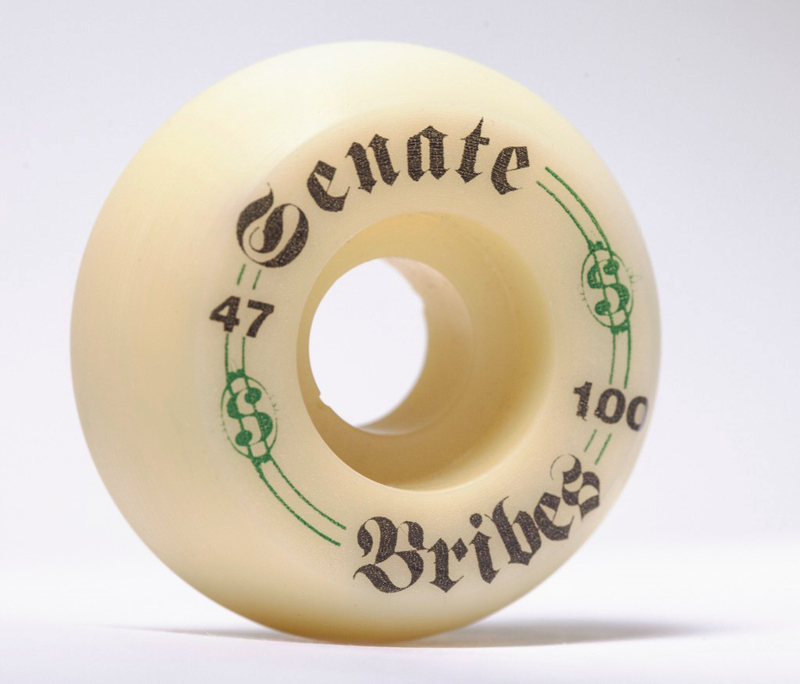 To be honest the Skateboard wheels that we had been using were pretty close and by the time we were at the stage of making the production C-Notes & Bribes we pretty much knew what we wanted. We couldn’t commit to one size though, Arlo wanted a smaller wheel, a couple of us wanted a bigger version so we decided to make both. The Bribes were released first, shortly followed by the C-notes. In terms of naming them, the whole Senate reference was aimed at how corrupt the political process was, the original conversation that gave birth to the name started with then Supreme Court Judge Justice Clarence Thomas, and strangely enough a penthouse story about him? The C-Notes & Bribes names embodied this, I can’t remember exactly who named them, but I’m guessing it would have been me or Arlo. I’m old. 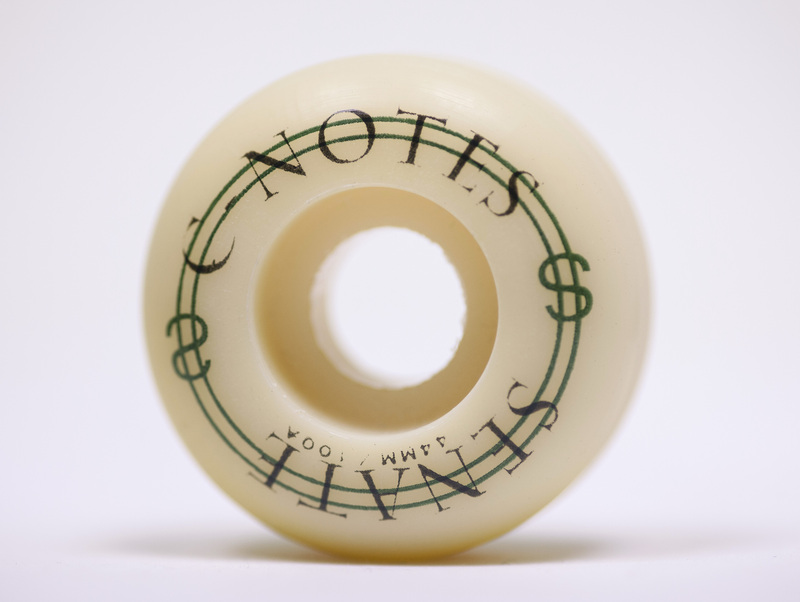 Like Arlo described in Daily Bread #2, we went to a local underground curb in Laguna to try out the 44mm C-Notes and immediately I was effortlessly grinding further and better. My first instinct was wow, this is almost too easy. After a some adjustments it was awesome to be able to lock on with confidence and seriously lengthen out the grind. With the larger softer wheels I had to carve into the curb and maintain an angle so that the top wheels didn’t grab. 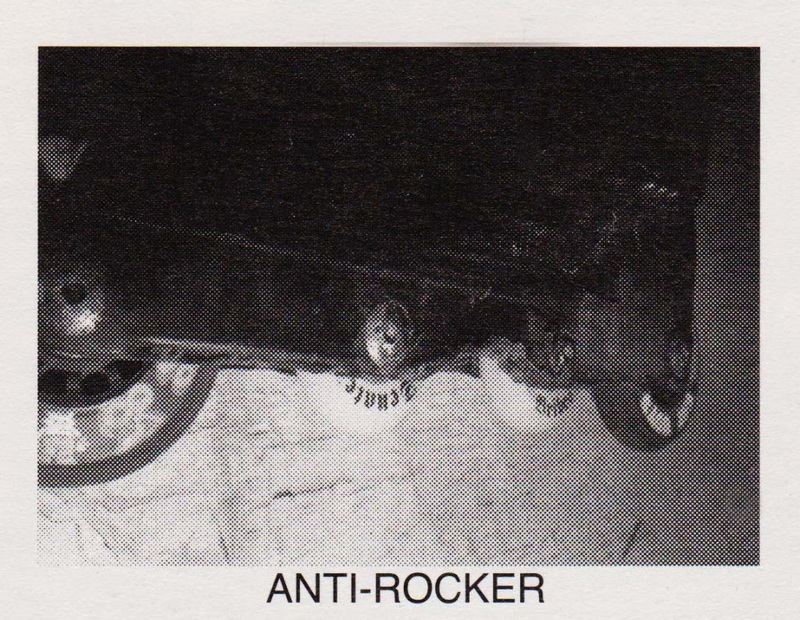 With the anti rocker one could now approach the curb straight on with more confidence and speed. That allowed me to get more on top of the grind surface, which would allow for a longer grind and open up countless possibilities. This was a game changer! 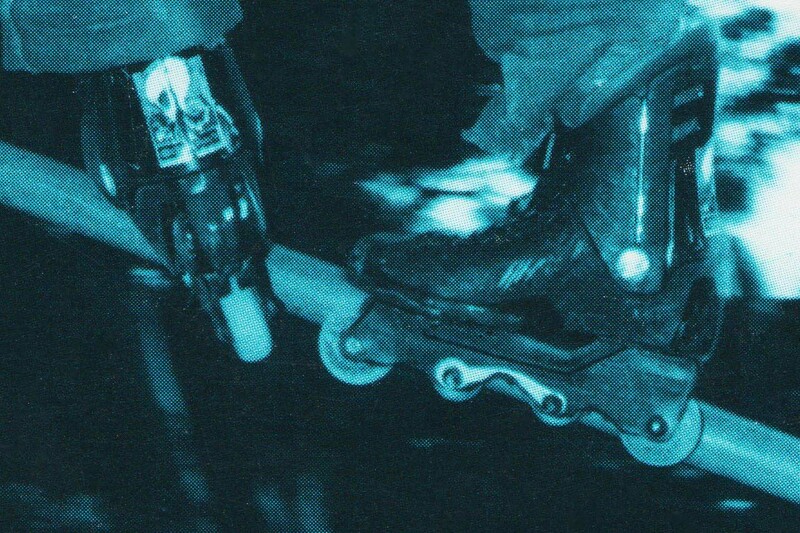 A huge thanks to Brooke & Jess for their insight and everything they gave to rollerblading.